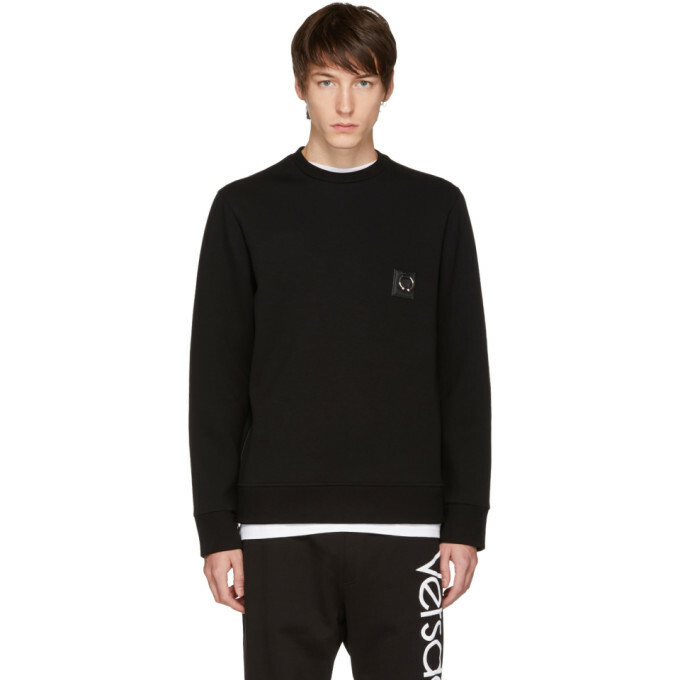 Long sleeve stretch viscose jersey sweatshirt in black. Rib knit crewneck collar, cuffs, and hem. Barbell-style hoop hardware and tonal leather patch at chest. Zippered vent at side-seams. Silver-tone hardware. Tonal stitching.